Mesenchymal stromal/ stem cells (MSCs) represent a heterogeneous cell population with immunomodulating, tissue repairing, differentiating, migratory and angiogenic abilities, making them important tools for clinical and translational research. An understanding of the role of MSCs in modulating tumor growth provides a glimpse into their role in non-pathological tissue remodeling and potential regenerative tissue therapies. 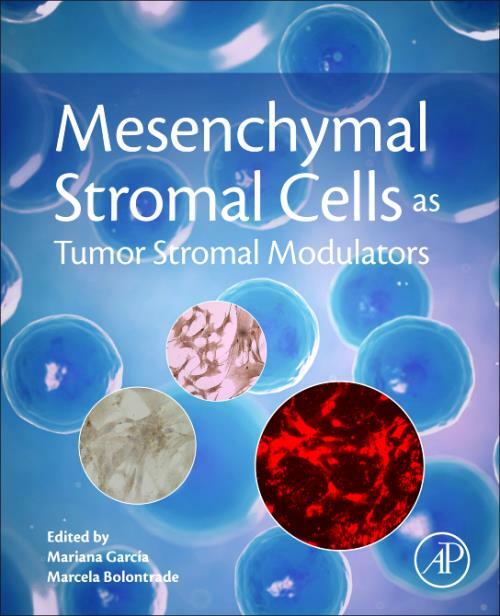 Mesenchymal Stromal Cells as Tumor Stromal Modulators is a comprehensive source for the understanding of the role of MSCs as ubiquitous connective tissue cell components, which may have both direct and indirect effects on the tumor microenvironment and potential for regenerative therapeutics for various diseases. Using cancer as a model disease, this book explores the transformative role MSCs play in the recruitment of disease cells, cell repair and immunological defenses.